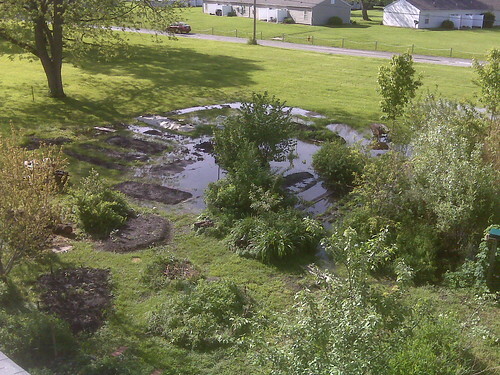 We got soaked yesterday and most of the garden is now underwater. yikes. let’s hope this dries up soon. update: went out and snapped some photos with my “good” camera. click thumbs below to see ’em. When I lived there, we had the sump pump hose going out to that area, so it was always a lake during rains.